Cycle-commuting is inherently risky, and these risks are greatly increased during the winter months. This doesn’t mean that you should hang up your bike this winter. Research from Northern Arizona University suggests that you burn more calories as your body struggles to stay warm in the cold. Your body also learns to use oxygen more efficiently. 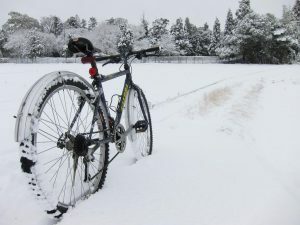 Riding in the snow can be incredibly fun! 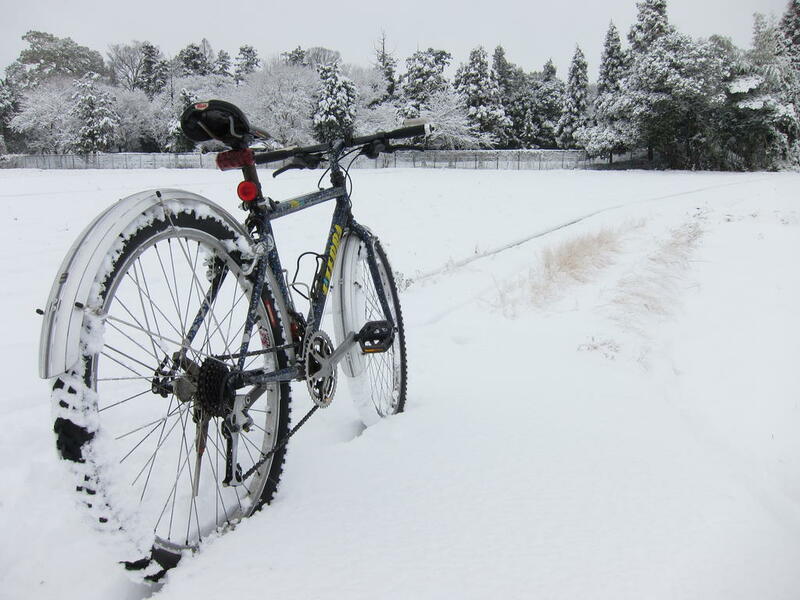 We outline 5 key points to consider when facing a winter of cycling. If you have a road bike, taking out a few PSIs out of the tires will help increase surface area and traction. You can consider studded tires as well. The right windproof, thermal and waterproof gear can keep you dry and warm. Wear multiple layers that you can put on or take off. It gets dark early, so make sure you can be seen! Bright rear and front lights are essential. Pick up small, light and bright rechargeable LED lights. These are easy to carry around and won’t break the bank. The last thing you want to do in the snow is wipe out. Riding slow is the easiest way to avoid a wipe out. Leave earlier so you have enough time to get where you’re going and at a slow pace. Mudguards are a must in the winter. Without mudguards, the spray and gunk kicked up as you ride can land into your face and up your back. If you are injured in a cycling accident, call us for a free consultation.